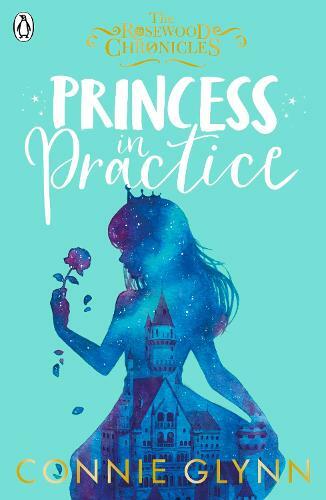 Come and join Connie Glynn for a new term at Rosewood Hall at her only event celebrating the paperback release of Princess In Practice, the sequel to the bestselling Undercover Princess. Connie will be talking about the world of THE ROSEWOOD CHRONICLES and modern fairy tales, her experiences as an author, and answering your burning questions about the new book. Come along to this intimate event for your opportunity to have an exclusive photo opportunity against the backdrop of Maradova Castle and be entered into a raffle to be sorted into your school house by Connie herself. This is an exclusive opportunity to meet Connie and get your new copy of the book signed by her. The event will be chaired by author and journalist Anna James. Should you not receive your email confirmation please contact events@waterstones.com quoting your booking reference. You will be required to show your ticket to gain entry to the event, and as proof of purchase. You will receive your copy of the book at the venue. A maximum of one book and one entry ticket per person. One additional copy of Connie’s books is permitted to be brought from home or purchased on the day to be signed by Connie. Connie will sign a maximum of two books per person. Anyone under the age of 14 years must be accompanied by an adult. Any accompanying adults will not require a ticket. Due to time and space limitations each child can only be accompanied by one adult and accompanying adults may not be permitted into the event space. The expected duration of the event is two hours but the exact time at which the event ends will be determined by the promoters on the day.